I need to be up front here and say that Mako Eyewear Australia provided me with this pair of sunglasses so I didn’t have to go out and spend my hard earned cash to buy these. Having said that I never feel obligated to write a good review if I don’t like the product. So how did they perform? Now, I have been wearing sunglasses for around 40 years and for much of that time I have made my purchases based on how I looked as opposed to what the sunglasses were doing for me (is this something you do?). 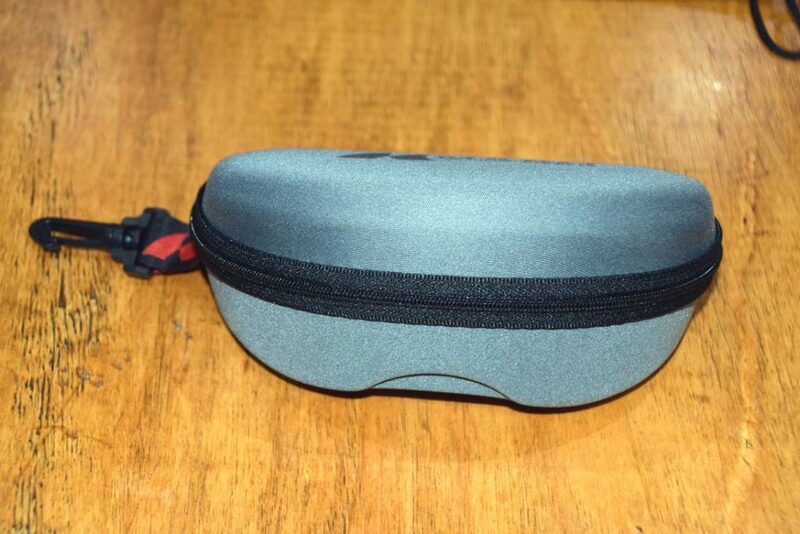 I have also tended to buy top of the line sunglasses as I appreciate all the extra features that come with the high end models. I have owned Mako sunglasses in the past along with a number of other brands but this is the first time I have gone through the process of having them fitted by someone who knows what they are doing; boy does that make a difference. It’s not that my other glasses have fitted badly, in fact they have been pretty good overall, but getting a pair that fits really well makes a huge difference. In this case after trying a number on, I found that it was the Mako Blade Sunglasses that felt just right. In regard to fit these glasses hug my face well without being restrictive or leave large gaps for sunlight to get through. I can’t stress how important it is to spend the time trying sunglasses. Don’t just spend 30 seconds looking in a mirror to see if you look cool (although that is obviously important!). Once you have narrowed down the range, spend a number of minutes wearing each one and if possible go outside into the sun to see how they perform. 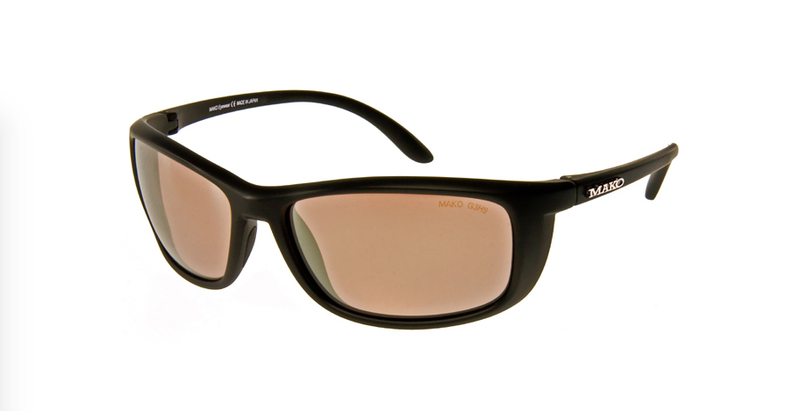 The Mako Blade sunglasses are a glass lens and for me that’s an important factor. I think back to my very first pair of sunglasses I purchased, a polycarbonate pair, and within 30 minutes of wearing them I managed to put a big scratch across the front of one lens. While technology has moved on from 4o years ago I still prefer glass lenses as a result. The Mako Blade is only available as a glass lens whereas other models come in both glass and polycarbonate options. The Mako Blade (M01-G3H9) copper coloured glass lenses provide high definition visibility and have 12 anti-reflective coatings. This all means that you will get great vision and protection while in the harshest sun conditions. These sunglasses also have been treated with Rain X (a hydrophobic coating) on the outer layer of the lens which means water beads up and runs off the lens – just like it does on the windscreen of your car. Another feature is that they have an oleophobic coating which repels oil, dust, water and dirt which means they are easier to clean and less susceptible to scratching. Another bonus of talking to someone in the know, is that they can advise you on what the differences are with the huge range available. Why pick one colour lens over another? I have always tended to buy grey lenses in the past but without really knowing why, its just something that I did. In talking to the guys from Mako I discovered that the copper coloured lenses provided a brighter image while still reducing the glare so they recommend this if you’re into photography. This wasn’t something that I had ever considered before but I learnt to appreciate and became very comfortable with this lens colour on my five week long Bibbulmun Track hike as it meant I didn’t have to take my glasses off constantly to get a more accurate image of the surrounding landscape before taking my photos. I have now been wearing the Mako Blade sunglasses for just over five months including in some extreme conditions that have been both very bright as well as very wet. At a touch over 30 grams in weight they feel super light, particularly for a glass lens. It’s almost as if you are not wearing them. 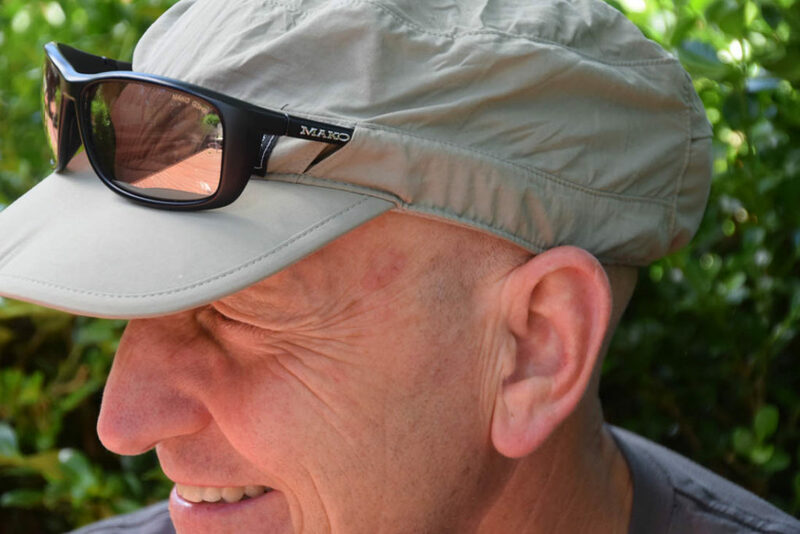 One of the other reasons I opted for the Mako Blades was the thin arms which matches up well with my Outdoor Research Radar Sun Runner Cap allowing the sunglass arms to slide into a specially design sunglass holder pockets on the sides of the cap. As a result I don’t need to add a lanyard given I have a high degree of confidence that the sunglasses won’t fall off my head. Now lets look at the obvious negative with these sunglasses and that’s price. These sunglasses vary in price depending on where you are buying them but they sit around the $250-300+AUD mark which means they are not going to be for everyone. 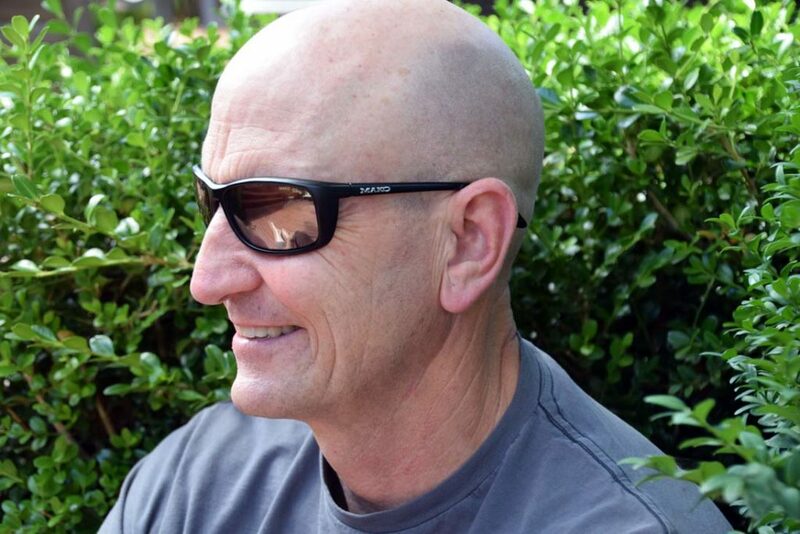 As I mentioned earlier I tend to buy high end sunglasses but the wide range of features and technology that comes with the Mako Blades, while expensive, is great value for money. Given I have spent a good deal of my working life outdoors, this investment has also protected my eyes. The Mako Blades have proven to be a great choice and when I’m eventually up for a new pair it is highly likely it will be another pair of Blades.